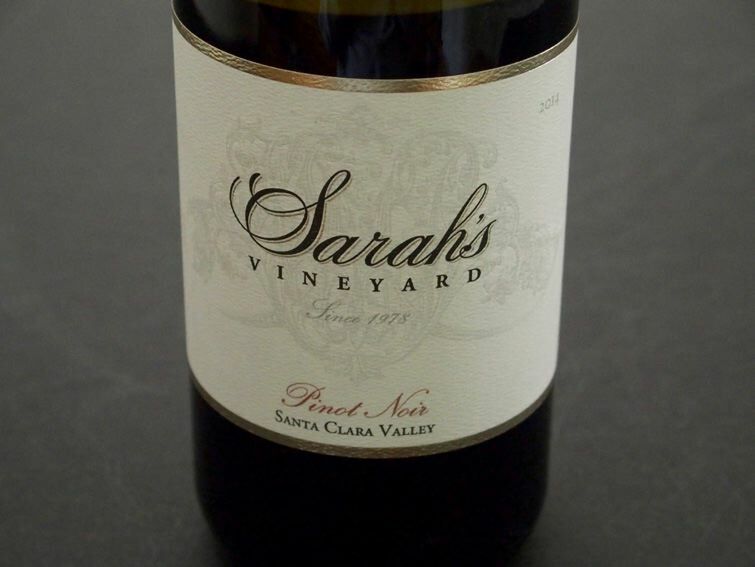 Sarah’s Vineyard spans across 20 hilly acres in a hidden southwestern corner of the Santa Clara Valley east of the Santa Cruz Mountains chain and west of the town of Gilroy along Highway 152. Tucked at the eastern foot of Mount Madonna along a windy mountain pass known as Hecker Pass, the dynamic coastal California weather patterns create a microclimate for growing Pinot Noir. The pass fills with fog and winds from the nearby Pacific Ocean, regulating temperatures and extending the growing season. 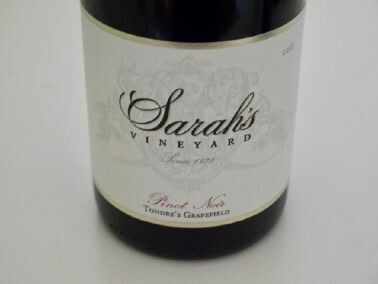 The original vineyard was planted in 1978 with Chardonnay, supplemented in 1989 with additional plantings of “Proprietary” clones of Chardonnay and Pinot Noir. 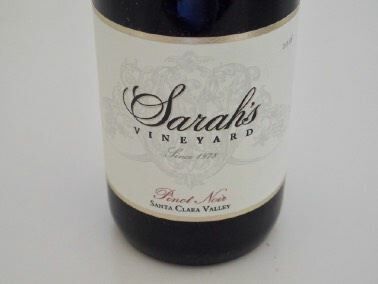 After purchasing the property in 2001 from owner Marilyn "Sarah" Otterman, who founded the winery in 1979, the proprietor and winemaker, Tim Slater, has planted several additional test plots of Pinot Noir, Viognier and Roussanne. These test plots have proved so successful that in 2006, another 5 acres of Pinot Noir was planted, using a double-secret blend of 115, 667, 777 and “Proprietary” clones. 2 more acres were dedicated to Roussanne, Viognier and Grenache. Slater now farms 23 acres. Slater is very interested in the subtle differences between the various clones of Pinot Noir, and has designed the newer vineyards with combinations of clones that allow detailed investigation of their characteristics. 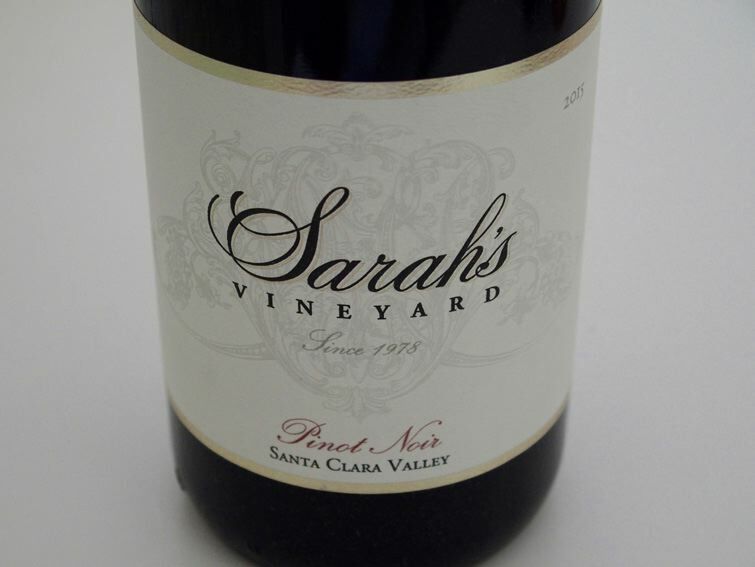 The Pinot Noir wines tend to have soft tannins and are primarily red fruit driven. Slater is a scientist and inventor from the Silicon Valley who owns dozens of patents in the field of micromachining. He basically learned winemaking with online classes from UC Davis and hands-on experience. Slater says, "We're kind of isolated out here. I'm a bit of a hermit. There are other Silicon Valley people buying land and interested in making wine so Santa Clara County is undergoing somewhat of a renaissance." Visitors are welcome and the tasting room is open 11-5 daily at 4005 Hecker Pass Highway, Gilroy, CA. 800-44-PINOT.